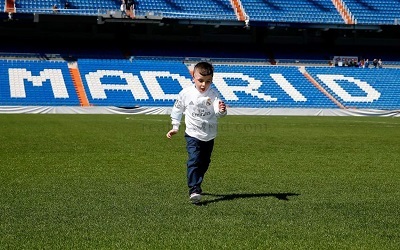 Ahmad Dawabsha, 5, arrived at the Real Madrid club headquarters in Madrid accompanied by his grandfather, where he met a number of players including his idol Cristiano Ronaldo. Dawabsha was the sole survivor of a deadly arson attack carried out by extremist Israeli settlers on his family home in the northern West Bank village of Duma on July 30 last year. 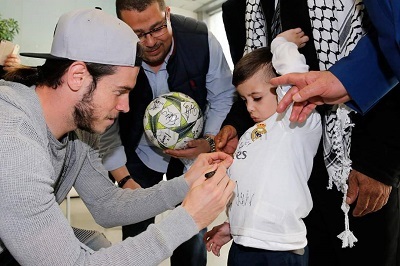 The child lost both his parents, Saad and Riham, as well as his 18-month-old brother, Ali. 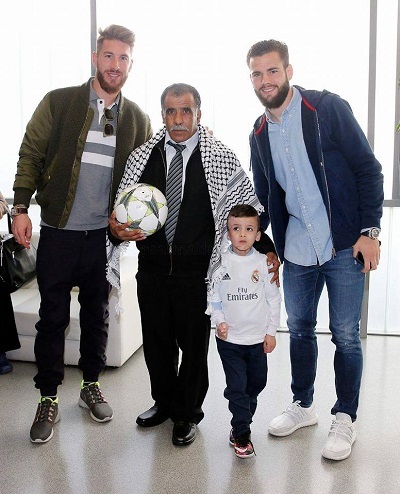 Federation president Jibril Rajoub said in a statement prior to the child’s visit that Real Madrid “sympathized with Dawabsha after a photo of him wearing the team’s uniform in his hospital bed went viral,” prompting the club to extend an invitation. 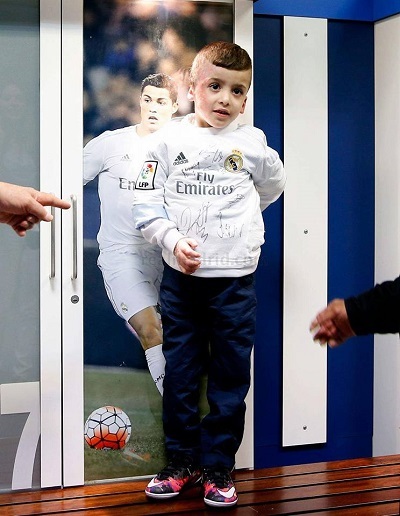 A campaign for Ahmad to meet his idol Cristiano Ronaldo, a player for the team, had garnered international support in past months. The attack that left Dawabsha’s entire family dead brought international attention to Israel’s failure to hold Israeli settlers and Jewish extremists accountable for attacks on Palestinians, in effect being complicit in such attacks.